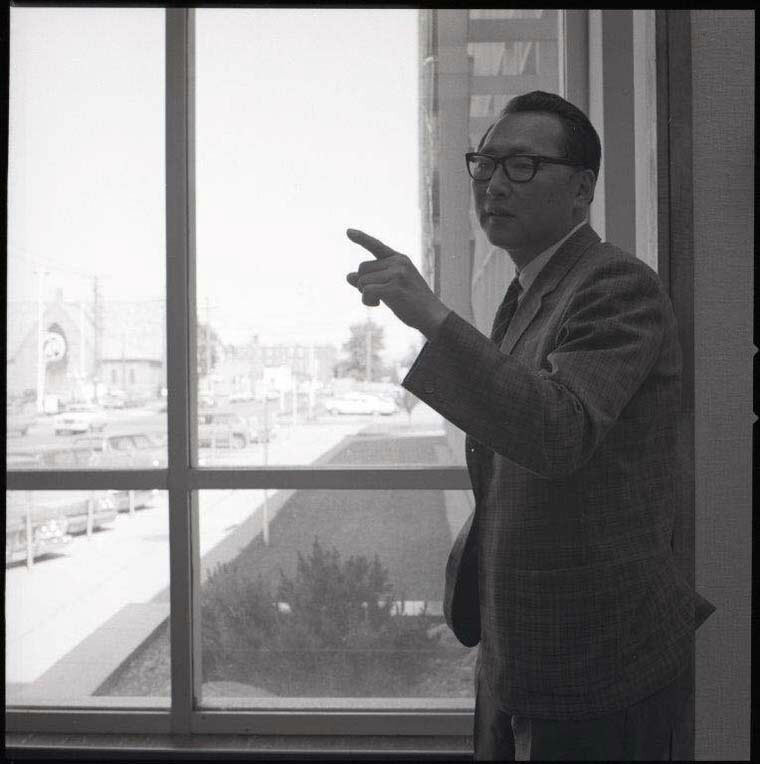 Kiyoshi Izumi was a Nisei architect who spent most of his career in Saskatchewan, where he designed many notable buildings in the province, particularly during the 1960s, as part of his firm Izumi, Arnott, and Sugiyama. Born in Vancouver, Izumi graduated from Vancouver Technical School, and during the internment, studied at Regina College in Regina, Saskatchewan, as well as at the University of Manitoba, where he graduated in 1948 with a degree in architecture. Izumi is perhaps most famous for taking LSD in order to understand how schizophrenics might view their environment when developing a design for a mental hospital, the Yorkton Centre, built in 1964. His firm also designed such buildings as the University of Saskatchewan’s Marquis Hall, the central branch of the Regina Public Library, and the Connexus Arts Centre. In 1968, Izumi joined the faculty of the Department of Environmental Studies at the University of Saskatchewan. He later taught at the University of Waterloo, retiring in 1986.